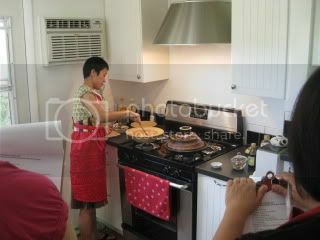 Last Saturday, I hosted a donabe & Japanese cooking class. 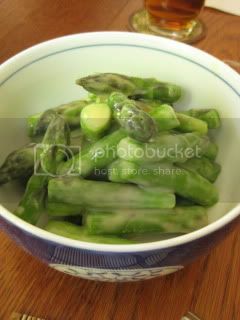 The theme was "Sprind Donabe Dishes". 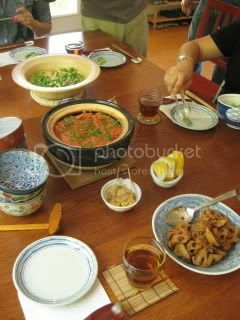 3 out of 4 dishes were made with different kinds of donabe. I'm wearing my new Korean apron, which I bought in Seoul. 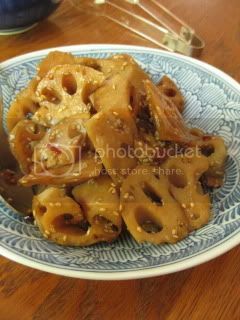 Steam-fry lotus root in caramelized oyster sauce and black vinegar sauce was made with tagine-style donabe, "Fukkura-san". 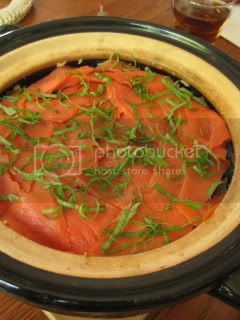 Smoked salmon and broccolini chirashi-sushi in a double-lid donabe rice cooker, "Kamado-san". It was a healthy brown rice version with purple yam vinegar. The inner layer of colorful radishes gave the nice crunch. 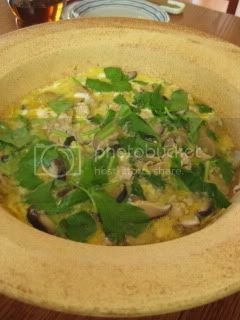 Chicken and gobo "tamago-toji" in a light-weight classic-style donabe, "Yu Kizeto". 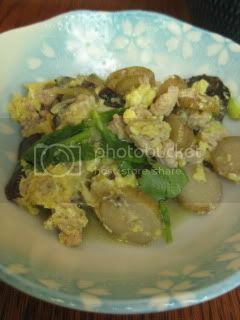 Ground chicken and burdock root were simmered in dashi-base broth and finished with mitsuba herbs and eggs. The dishes went wonderfully with Taltarni Brut Rose "Tache". I always have a great time at our cooking class. Our guests are always great and their smiles make me so happy.